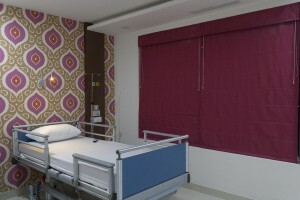 Deluxe Ward Rooms: Our deluxe ward rooms are equipped with every feature imaginable. In these rooms, we provide wi-fi Internet access, A/C, cable TV, telephone, centralized oxygen, centralized suction equipment, an attender bed, a private bathroom, closet space. Single bed rooms: This is no A/C room. There is provison of cable TV, telephone, centralized oxygen, centralized suction equipment, an attender bed, bathroom, closet space. 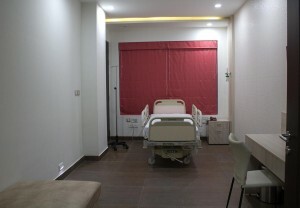 Two-bed Rooms: You share bed with another patient in the same room. There is provision for an attender cot, centralized oxygen, centralized suction equipment. Three-bedded Rooms: You share bed with 2 other patients in the same room. There is provision for centralized oxygen, centralized suction equipment.There is no attender cot. General Ward (Male, Female, Pediatric wards). We provide patients’ meals to their rooms: At NU Hospitals, a dietician tailors meals according to each patient’s individual requirements. This is to ensure that each patient receives the proper mix of nutrients such as proteins and carbohydrates. We provide four meals a day to patients – breakfast, lunch, an afternoon snack and dinner. Fresh and natural ingredients are used to prepare meals, and all meals are designed to be low in fat and salt. We provide a renal diet for patients who require it, as per the doctor’s instructions. We also provide a special protein drink for dialysis patients.